If you dislike ambiguity and prefer straightforward plots, you may become impatient with Patrick Modiano’s inconclusive and sometimes maddening quests. In his stories of Paris during and after the Occupation, the “missing” person in question is never found; the mystery of his or her identity is never solved. 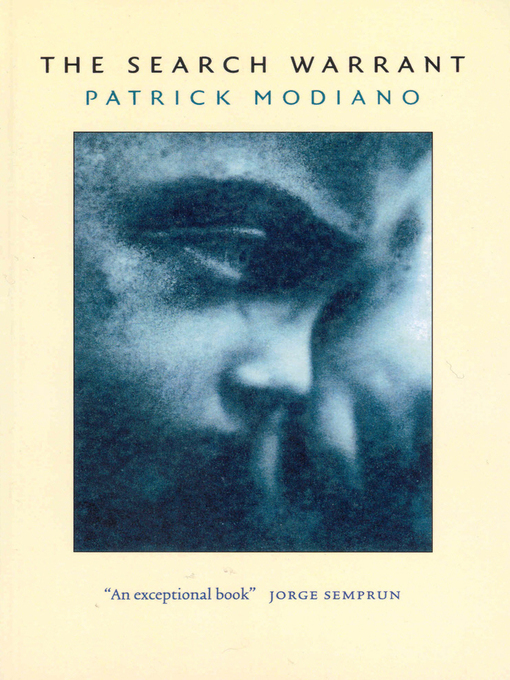 Modiano tells the truth–what little of it he knows–but he tells it slant. I was thinking about my father, who passed away five years ago, and musing about events in 1940s Europe that may soon be all but forgotten. Once I became accustomed to Modiano’s method and spirit of storytelling, I could appreciate the author’s preoccupation with identity and memory, and his attempts to reconstruct and understand the past. Even as I explored the Jewish quarter of Le Marais, where we stayed, and conjured up the WWII Paris I’ve seen in movies, I realized that a new story is playing out in France, making my father’s time seem even more remote. We passed by many military personnel armed with automatic weapons guarding Parisian monuments, temples, churches, and other sites in the wake of January’s Charlie Hebdo attack. My father never got the chance to explore Europe as he’d hoped. He’d been fascinated by France and Luxembourg (where he spent the weekend in training before he was wounded in the Battle of Metz in 1944), and he’d planned to visit Sicily, where he was born. Instead, he was shipped out to Liverpool after he was injured, and then back to America, where he spent over a year in recovery. Though he did visit Sicily later in life, my father never returned to France. 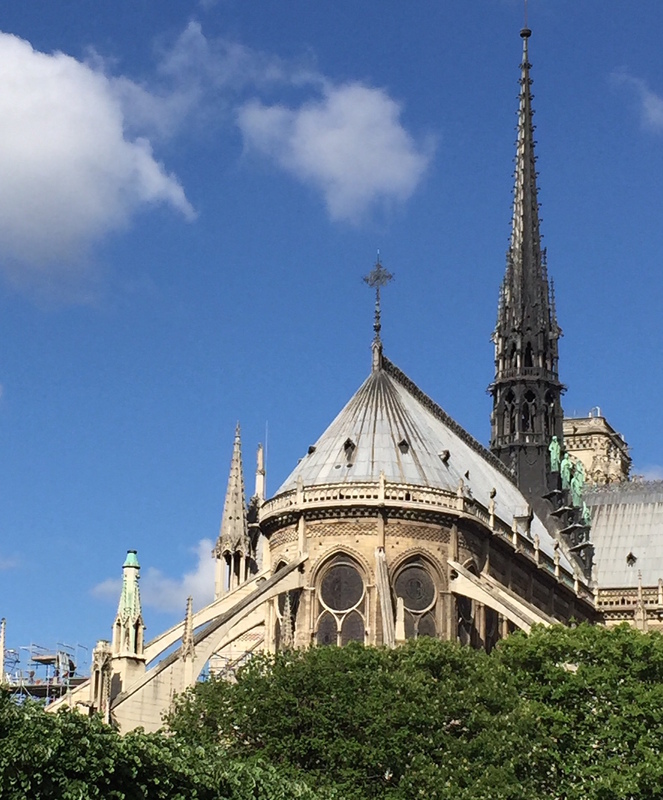 I found myself imagining what he might have thought if he’d seen Notre Dame (he was awed by cathedrals) or tasted Parisian escargot (which he would have relished) or strolled across the many old bridges spanning the Seine. During our drive to Metz, I looked out over the French countryside and along the Moselle River, thinking that perhaps my father had been injured in one of the passing fields or forest groves. In The Search Warrant, Modiano is obsessed with reconstructing the life of a young Jewish girl who died at Auschwitz. In a 1941 Parisian newspaper, he’d discovered an ad placed by the parents of Dora Bruder, asking for information about the whereabouts of Dora, who had run away from her convent school. It’s as if Modiano can’t accept that someone–that so many, in fact–could live lives so brief and obscure and die such senseless deaths, as they did in the war. The Search Warrant fuses nonfiction (the facts he unearths about Dora Bruder) with memoir (Modiano’s autobiographical speculations about his father during the Occupation) and fiction. As I read, sometimes I couldn’t separate truth from fiction. Interrupting the narrative flow are lengthy lists of the names and last known addresses of people deported to concentration camps. Modiano seems compelled to show his readers the documentation and proof behind any fact he asserts about Dora. 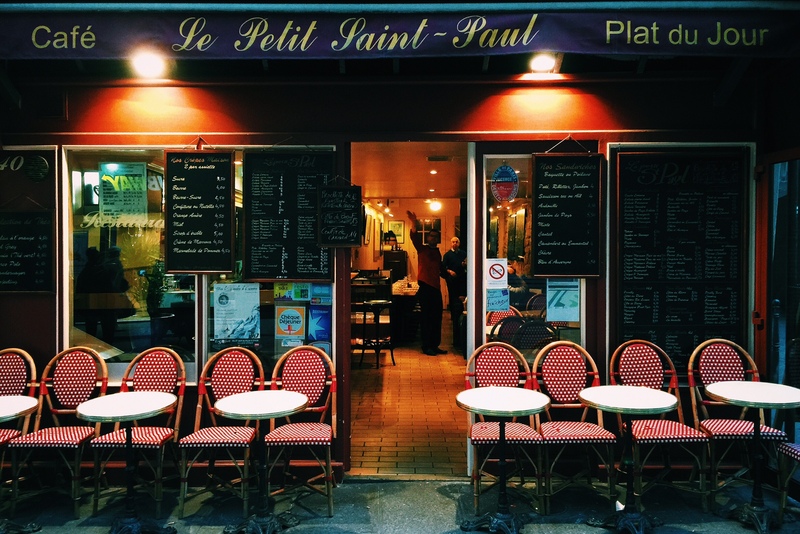 He meticulously describes the Paris neighborhoods that he wanders in, too: the old, timeworn urban landscapes and the bland contemporary ones that have replaced them. Such lists and geographical minutia also appear in Modiano’s three novellas. Each story portrays a protagonist searching for a person he’s lost touch with long ago or seeking to understand some incident from the past. Before I started the three novellas, I read the editor’s introduction to see if I could better understand what Modiano was trying to do with his stories. I learned that his mother had been an actress and was often absent during his childhood, while his estranged father paid little attention to Modiano and his younger brother. Modiano surmises that his father was a black market smuggler and somehow aligned with French Nazi collaborators. Another heartbreaking autobiographical fact is that Modiano’s beloved brother, Rudy, died from an illness when they were young. 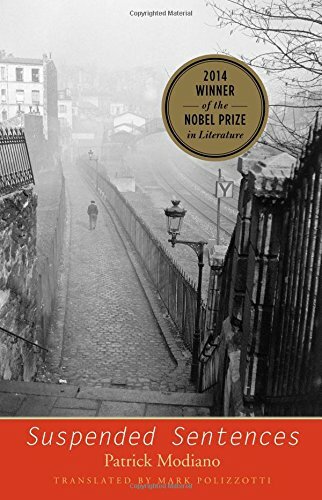 Modiano’s obsessive search for Dora Bruder is emblematic of Modiano’s search for his lost family, and for a pre-war Paris that no longer exists. Patrick Modiano won the Nobel Prize in 2014. Where to eat….they all look so good. Can you see the maître d’ beckoning? 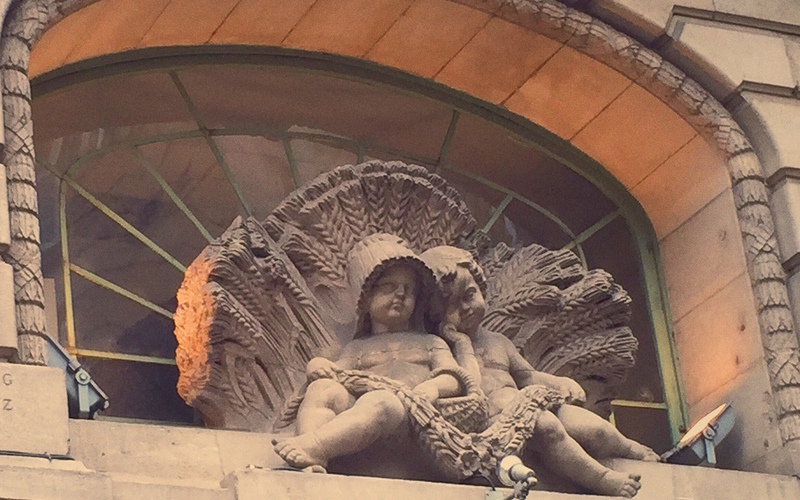 Children on a street corner in France. Very late to this but just to say that more than any writer I’ve read recently it helps to know about his background and what he is trying to do in his writing. Reading him ‘cold’ which I did a few months ago is a baffling experience. Vicky, yes, he is a difficult author. It took me a while to get used to him and I have to take him in small doses. So glad you stopped by, read, and commented. 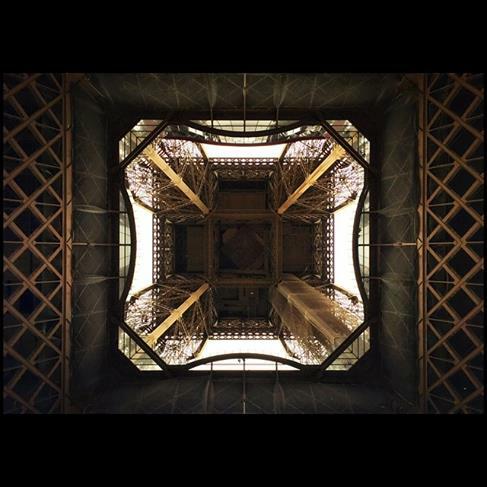 A wonderful piece Valorie, I’m so happy you stayed in Le Marais and had such an interesting and thought provoking visit and found the perfect writer to accompany you on your visit, both the physical visit and the reflections. I love that you tried to see through your father’s eyes and share those things he was so close to seeing but didn’t. I’m sure he was with you in spirit, his curiosity is definitely present within you! I went to the library yesterday to look for Dora Bruder and have requested it and came home instead with Dans le café de la jeunesse perdue which certainly sounds like its on a similar theme. Thanks, Claire, certainly I hope to return to France, I loved it! I look forward to hearing what you think of Dans le cafe…. Very thoughtful post. I read “Search Warrant” and although I liked it very much, I balked at reading “Suspended Sentences” as it just seemed too much the same. It was one of those books I ended up admiring more than loving. Ahh, another writer I must read! Thank you for the lovely review. He has an impact that sneaks up on you as you read. Thanks, Judy! Somehow I feel our recent vacations were in sync, or at least had some similarities.